The entire group of 29 trialists will have another opportunity to further stake their claim for SA Under-20 colours on Thursday when the Baby Boks take on DHL Western Province at their High Performance Centre in Bellville at 16h00. Coach Dawie Theron on Wednesday named his starting 15 for this training match and insisted that the remainder of his trials squad will be given game time during this fixture after he named a 14-man bench. The national selectors on Monday reduced the initial trials squad from 40 to 30 on Monday. Jose Julies (lock) was not considered for selection to injury. Former Vodacom Blue Bulls Under-19 captain Arno Botha, who missed Saturday’s SA Under-20 Trials game, will start in the No 7 jersey. He joins DHL Western Province‘s Nizaam Carr and The Sharks No 8 Marcell Coetzee as the loose forward combination. Eben Etzebeth (WP) and Carl Wegner (Free State) join forces at lock. Theron opted for the DHL Western Province half back duo of Ricky Schroeder (scrumhalf) and Sam Lane (flyhalf). He also selected The Sharks duo of Emile Schwarz and Mandla Dube who will wear the No 11 and No 14 jerseys respectively. The Platinum Leopards’ Kobus Lourens and former SA Schools star Piet Lindeque will form the centre combination while Riaan Britz will start at fullback. “We’ll be utilizing our complete squad that has trained with us in Cape Town for our clash against DHL Western Province,” said Theron. “I believe this has been a successful two weeks in terms of us getting to understand the strengths and certainly some of the areas where work is needed with the World Champs in mind. Our player depth will be crucial in terms of understand what we are planning to work with going forward. 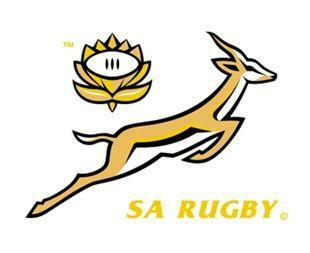 SA Under-20 team – Riaan Britz (Free State), Mandla Dube (The Sharks) Piet Lindeque (The Sharks), Kobus Lourens (Leopards) Emile Schwarz (The Sharks), Sam Lane (WP), Ricky Schroeder (WP), Marcell Coetzee (The Sharks), Arno Botha (Blue Bulls), Nizaam Carr (WP), Eben Etzebeth (WP), Carl Wegner (Free State) Jon Roy Jenkins (Leopards), Bongi Mbonambi (Blue Bulls), Stephan Kotze (Free State). Reserves: Baksteen van Heerden (Free State), Jean Schoeman (Blue Bulls), Nick Schonnet (The Sharks), Ruan Venter (Lions), Brendon Groenewald (Free State), Jean Cook (Free State), Ernie Strydom (Leopards), Lohan Jacobs (Blue Bulls), Tony Jantjies (Blue Bulls), Sizo Maseko (WP), Clarence Khumalo (WP), Heimar Williams (The Sharks), Ulrich Beyers (Blue Bulls), Kevin Luiters (Free State).